Happy New Year, everyone! Here are a few black-eyed pea recipes to bring you and yours some good luck in the new year. With lots of whole, natural, good-for-you ingredients, these will start the new year off on the right foot too. 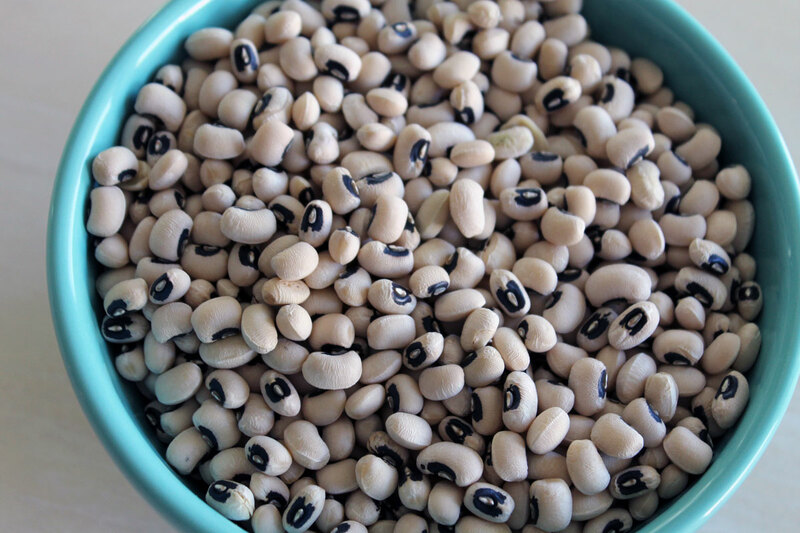 Black-eyed peas, like all beans, are an extremely low-fat, fiber-rich source of protein. They’re rich in potassium, which the body needs for healthy cell growth, function and (most importantly the day after a few cocktails)… repair. Alcohol depletes you of potassium along with other important minerals, hence that ache you may have woken up with this morning. Replenishing your body’s store will help get you back to feeling in balance. These lucky little beans are high in zinc too, which supports immune function and wound healing — also needed after a few too many… Like other beans, black-eyed peas have iron, which helps get oxygen to the blood. Here’s to getting your new year off to a healthy and, if the superstition holds true, lucky start. I wish you and yours a very, very happy and healthy 2012! Next postWhat I Read This Week: No more recipes. Foods to try in 2012. What your urine’s telling you.